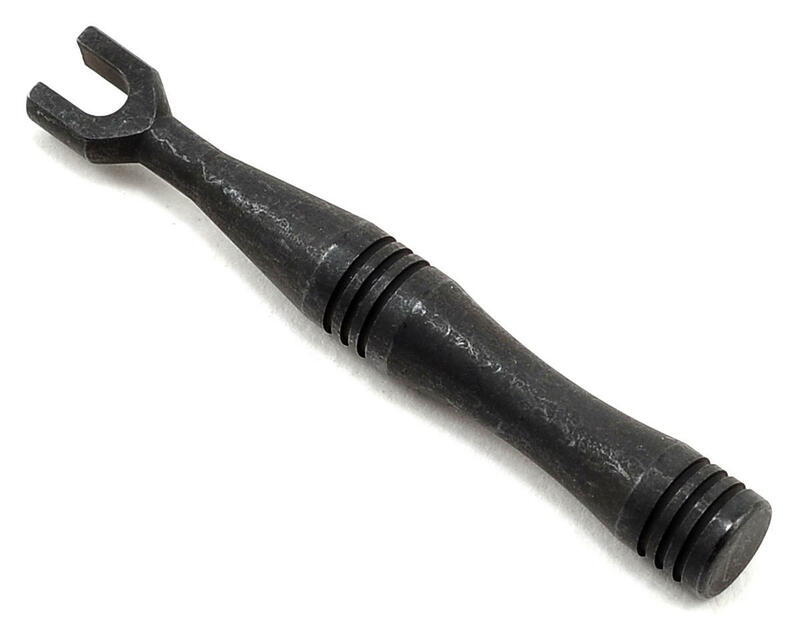 This is the JConcepts Fin Turnbuckle Wrench. 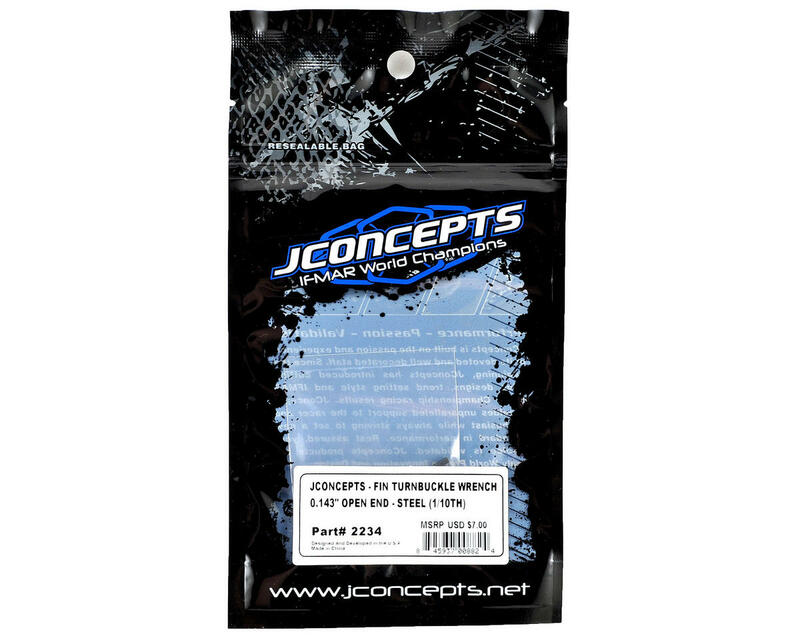 This wrench is compatible with JConcepts and Lunsford .143" (3.63mm) turnbuckles. The wrench is made of steel material and features a stout adjustment handle for easy adjustment. The Fin turnbuckle wrench has been laser marked with JC for authentication and is the perfect complement to any tool set. The wrench is sized to fit just about anywhere in a racers toolbox and is the quick hit accessory for racers utilizing JConcepts Fin turnbuckles. This wrench is pretty nice. When it arrived, I was concerned because it didn't look identical to the one pictured on the amain website. The wrench now has a glossy black finish with the jconcepts logo on the handle. I was concerned because I wanted a steel wrench and I was not sure if it had been re-designed in some kind of aluminum like another I own (by another company) which showed wear after just a few uses. I checked the part number on the jconcepts website, and their image is correct, and the description still says it's a hardened steel wrench. It is nearly identical in size to my aluminum one, but this one is much heavier. I think it's safe to say it's steel. I used this with my new Lunsberg 3mm Punisher turnbuckles for my B64D, and the fit was just right. It was easy to get on and off the square section of the turnbuckle, but didn't have a ton of play either. For $7, I think this is a very nice wrench. JConcepts nails it again! FYI, this is too loose to use well with the stock Team Associated B64/B64D turnbuckles. If that's what you need it for, look for a smaller width.